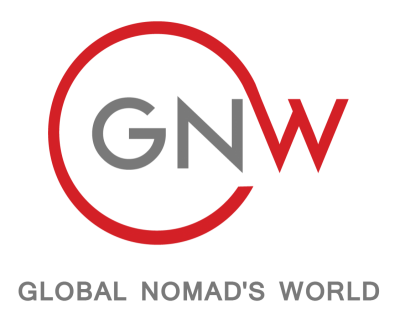 At times, the world of the global nomad and the local communities in which they live can seem like two different universes; so much so that the life of a expat nomad is commonly referred to “an expat bubble.” Some nomads are happy and comforted by this bubble as they move around the globe, yet more and more families are searching for ways to grow outside the bubble and feel some connection to the communities they live in. The term “expat bubble” has also been referred to as a "third culture", a term introduced first as "interstitial culture" by the sociologist Dr. Ruth Hill Useem and developed later on by Ruth Van Reken and David Pollock. There are many wonderful benefits of global assignments and living in such a bubble. These can include financial advantages, exposure to strong international education, world travels, intercultural awareness and growth in a welcoming and safe community of families with similar experiences. These advantages extend from adults down to their children as well. As Ruth Van Reken, writes in “Third Culture Kids” the advantages for children living abroad can include expanded world views and cross-cultural enrichment. They can share experiences with friends experiencing the same international globe trotting. However, many global nomads living in this bubble can also experience a sense of detachment from the communities in which they live in. While they may be learning, reading, and socialising with people from all over the world, they may miss the connection with the community and city in which they are living. They may not speak the local language, read the local papers, participate in community politics. Many of members of their community will include other expats who share similar experiences. Thus, there there can be a real separation between your life and the life of the local communities in which you live. This separation is evident in numerous expat assignments but is even stronger in developing countries, where the separation can include physical separations which may include compound living. This separation is also evident in the lives of many expat children if they are attending an International School and surrounded by fellow students from all over the world. The benefits of attending these institutions include many wonderful experiences however, oftentimes, the majority of their social circle is not from the local community. So many students thrive in these international institutions but have very little contact with the lives of locals. To some, this separation is not a strong concern but for many others, they search for some sort of connection with the world they live in. Increasingly, families are expressing their interest in feeling more connected to the local communities in which they live in. A recent recent expat report entitled “The 2018 Expat Explorer”conducted by YouGov suggested that increasingly, local cultural knowledge is an important factor in a positive expat experience. Families are also expressing interest in their children being more exposed to the interesting and different communities surrounding them. But, how can this connection happen? Sports has an amazing inherent quality of offering a common language of sport and a common culture of a game. People of varying backgrounds can join as a team allowing their body and movements to speak in the absence of a common language; allowing the common culture of a pitch and some goals, in the absence of differing cultural rules. Sport is also an activity that transcends many divisions and classes. Regardless of where you are from or what you do, you are equals on a field of sport. Student at the International School in Hyderabad (ISH), have decided to use the power of sport as a way to make this wonderful connection with the local community. They have invited dozens of kids from a local community to come onto the international school campus once a week to play sports with their student community. This student-run program, brings local children to campus and exposes them to the wonderful sport facilities and equipment accessible to this international community. Visiting local students are then divided into small groups and international students lead them through different sporting drills, culminating in a fun game. What are the benefits of this connection through sports? The benefit from this program is shared between both communities. Visiting local children are exposed to sports and activities they would never experience otherwise. Due to their academic schedule and lack of sport venues, equipment and expertise, many of these students have little opportunity to develop their sport skills and potential. This program offers them a glimpse of the wonderful world of sport activities that can help develop physical strength, team building, leadership skills, and fun! And these developing skills are transferable and inexpensive; they don't need fancy venues to play soccer. For the international students, this is a great opportunity to make a connection with the children in the local community. Sport enables these students to transcend the divisions that continue to define the lives of many Indians. These international students are learning how to communicate without a spoken language and to relate to individuals from very different backgrounds. There are challenges as the international students slowly learn how to actually teach these students sport skills rather than simply throw a ball on the field and tell them to run! How do you help these community children learn sporting skills that are both fun and helpful in setting them off on a path towards being an active person? How can this connection grow and develop? This is just the beginning of how sport can help connect these international school students and the local community. The students are looking to develop the programs further and offer a full sport day; introducing them to additional sports and swimming as well. A number of these local children have never been in a pool or even seen one! There were three very shy girls from the visiting school looking to try playing soccer with a dozen boys during the second week of the program. They timidly watched for the sideline as the confident boys began kicking the ball around, encouraged by the other male ISH students. It was only after one of the female ISH students, kicked a ball their way and offered much encouragement, that the girls slowly began to participate and enjoy learning these skills. Can this be a key for girls to participate in the program? In a country where encouraging girls to play sports is not a focus point, what systems can grow and help to change this trend? One way to make a more welcoming environment for girls to participate is by having female leaders teaching them. Thus, we are looking to further develop the sports on offer and we are looking to organise female students to help introduce a number of sport specific to the local girls. This is just one way that we hope to make these sporting activities more welcoming to girls. The possibilities of how sport can continue to make the connection between the international community and the local community are endless and this is only the beginning. The ISH students are starting to address these questions and are trying to bridge this gap with their program. But as this article suggests, this is only the beginning of the wonderful possibilities and I am thrilled to be on the journey.